Are you a last minute shopper or have someone on your list that has everything so you have no idea what to get them? Consider giving a gift that can help others in their time of need on behalf of your family and friends. Donate to The Salvation Army as they continue to serve disaster survivors of hurricanes Harvey, Irma, Maria and Nate. Whether its food, drinks, shelter or cleaning supplies, The Salvation Army provides practical assistance. 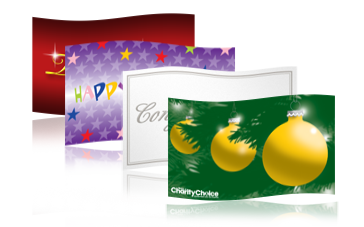 TisBest Charity Gift Cards work like any other gift card, except that instead of buying more stuff, the recipient spends it to support a charity of their choice. You choose the donation amount and a customizable card image, and their email and print-at-home options let you send or receive an order instantly. World Vision lets you choose a gift to donate, help children and families in need, and honor loved ones with a free personalized card. There are many other incredible organizations online that have similar e-gifting options for the holidays and year-round so search around for one that fits your needs.